I pointed out already safety things that are not in place. 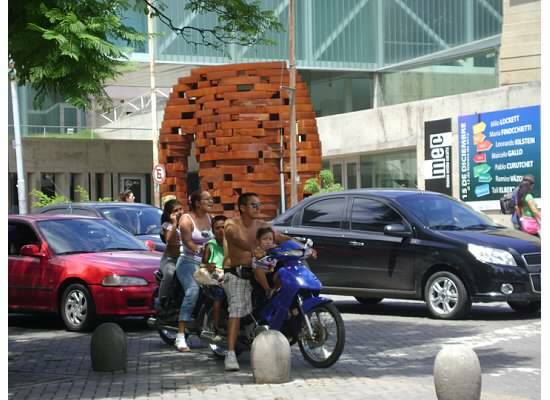 Perhaps it’s the pier with no guardrails in Uruguay, or the fact that this family is split on two motos and their children are not buckled up and also not wearing helmets. Is the US too safety focused or are other places not enough? Here, with children wearing no helmets, I’m going with the former. Especially, once the light changed, they took off like lightning. This entry was posted on Monday, April 29th, 2013 at 8:00 am	and tagged with argentina and posted in observations. You can follow any responses to this entry through the RSS 2.0 feed.